Sources and reasons of forming of national mentality and its influence on the institute of political power are analyzed. The typology of four global spheres rendering influence on mental characteristics of concrete society — biosphere, social sphere, techno sphere and info sphere is considered. The social — psychological features of national political elite are analyzed. Key words: political power, mentality, biosphere, social sphere , techno sphere, info sphere. Specificity of tourism as a kind of economical activity is described. Recommendations about matching and arrangements of personnel in tourist business are made. For each kind of professional activity optimum variants of socionical types of employees are offered. Key words: tourism, management, personell, obligations, requirements, profession, personality type. The qualification requirements, produced to the expert in area of socionics, are formulated. The stages of preparation of the expert, including his emotional and mental conditions, are described. Key words: socionics, expert, measuring tool, comparison standard, experience of expert, socionical introspection, dimension of functions. Key words: socionics, F-model, aspects by Filimonov-Kolchin, E-model. 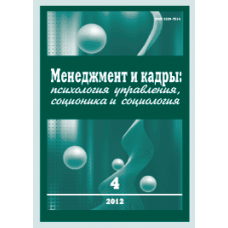 Course "Fundamentals of the psyche informational metabolism theory (socionics)"
The program of a base cycle of lectures on basis of the mental information metabolism theory (socionics), developed in "Concepts and Programs for Socionic Education in Ukraine" is described. The experience of training under this program has proved its high efficiency and applied value. Features of intertype relations in socionics with the account of subtypes and accents of types of information metabolism are considered. Key words: socionics, socionic types, intertype relationships, subtypes, accents of informational metabolism types. In this work a model of the informational metabolism process is constructed from the viewpoint of psyche processes aimed to elimination of uncertainty and entropy, to organization of an individual’s system of psychic activity in the process of attention. Key words: algorithm, attention, individual, information metabolism, information, modeling, object, irritant, reaction. Some observations valuable to practice of TIM diagnostics at children of chest and early age are offered to attention of readers. Without applying for an omnitude, article nevertheless expands already available socionic experience of diagnostics of babies and it can be useful both for practicing socionists and for parents. Key words: socionics, type of information metabolism (TIM), TIM diagnostics, Augustinavichute–Reinin traits, correction of psychomotor development of the child.